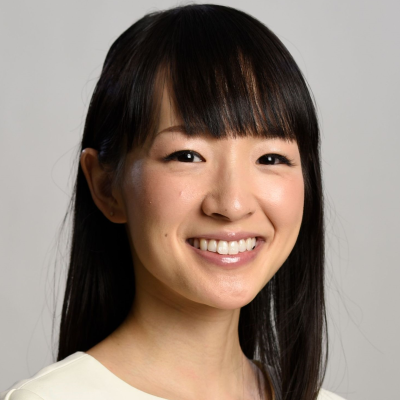 Is some of the Marie Kondo backlash and adulation racist? "There’s this sense that no one is actually listening to Kondo," says Clara Mae of the Netflix Tidying Up star. "She’s been reduced to an anime caricature, a fantasy creature who paradoxically both elicits dread and is easily dismissed because of her stature." Mae adds: "There’s a sort of lateral violence at play in the Tidying Up discourse in how white women will sometimes deliberately misunderstand or talk over women of color. Kondo emphatically does not do the cleaning for her clients and simply offers suggestions, yet many white women have interpreted her as irrational, and her methods too militant...Even some of the compliments Kondo has received have been heavily racialized and Othering, focusing on her body and her perceived otherworldliness." As Mae explains, "it’s difficult to glean where all this vitriol is coming from. We could look at statistics that show that Asian women as a whole earn more than other women, have higher rates of education, and pull slightly more on dating sites. That Kondo is very feminine and seems to love pink, and that maybe that clashes with older waves of feminism. But these factors seem tangential to the real issue, which is the mere fact that Kondo is successful. Americans, even liberal ones, are still used to authority figures being white and male, and anyone who upends that convention elicits a knee-jerk, gut-deep negative reaction. It’s not only a sign that our institutions—our political offices, our movie studios, our board rooms—have failed to reflect an increasingly diverse world and that we’re still more xenophobic than we’d like to believe. It’s also a marker of how our feminism, our liberalism, still struggles to be intersectional, to see non-white foreigners as living, breathing, human beings."